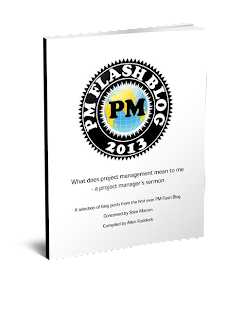 Musings on project management: Integrity is free... or should be! Integrity is free... or should be! Integrity—or lack thereof—remains a critical challenge for companies today. Whether it involves promising a client that our software will work in their setting, adhering to investment guidelines with people’s retirement savings, or performing the correct medical procedure, we owe it to our customers, employees, shareholders, and the world at large to be responsible about what we commit to and what we deliver. Now we are not given in real evidence of the criticality of this challenge -- we are pretty much left to think of our own experience -- but it's suggested that there is a "commitment drift" that may have settled in. Do not expect performance to emerge where it's not even promised -- example: miracle occurs here!